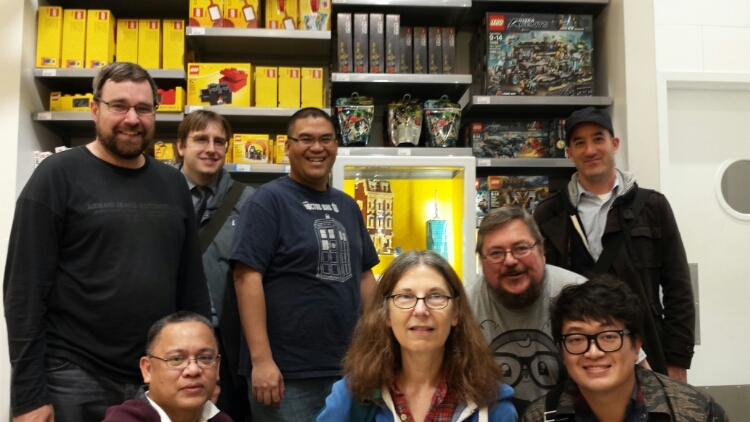 It’s been a busy few weeks for NYCLUG, which continues to grow in both members and LEGO displays. 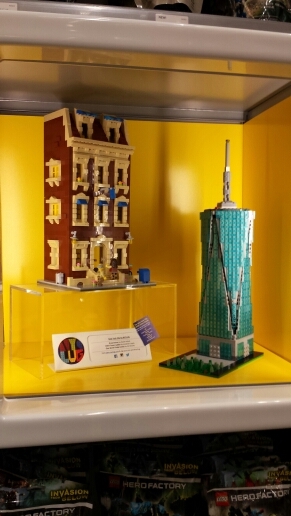 This week, we were invited to christen the Community window at the LEGO Brand Retail Store in Manhattan’s historic Flatiron District, located at 23rd Street and 5th Avenue. Builders Dave and Sid brought in a Brooklyn brownstone building and a scale model of One World Trade Center, in keeping with the “New York City” theme; joining those two architectural MOCs was Jonathan Lopes’s 4-wide FDNY tower ladder (not seen here). 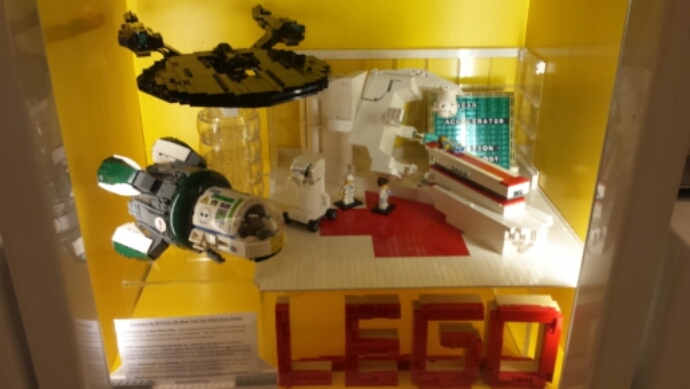 Late last month builders Sid, Victor and Nate contributed a USS Vengeance, a radiology machine and a sick space MOC to the Community window at Rockefeller Center. These displays will be up for the next few weeks, so please stop by and let us know what you think! I enjoyed seeing you all there and am glad that we have the larger display at the Flatiron store for our taller New York City-themed buildings (which will probably be a lot of them).